These little hourglass blocks are the perfect use for some of those special fabrics that you saved from past projects. 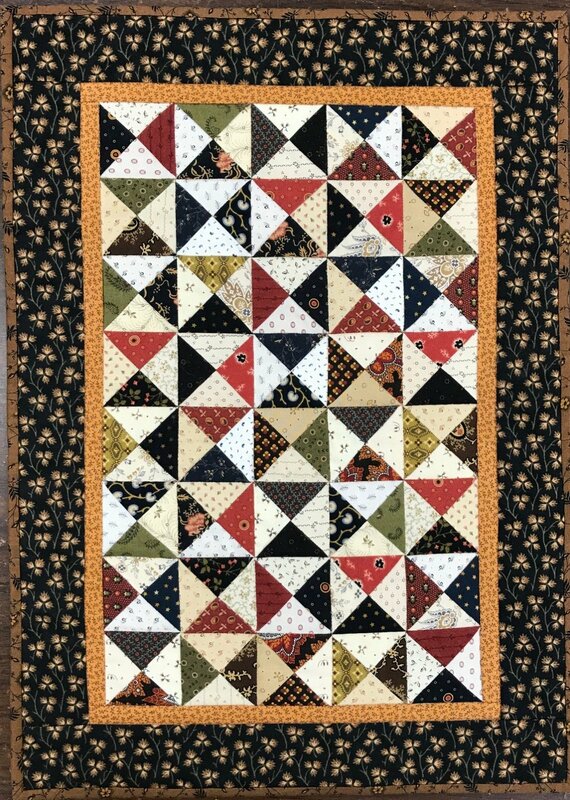 It would be a good beginning for your miniature quilt collection or a great addition to your stack of treasures!This little quilt comes from Jo's Little Favorites III and finishes approx 15" x 21". Book purchase required.